Ever feel like your mind is playing the wrong channel or there’s just too much noise to hear anything? It’s like you are telling yourself something you don’t want to do, but you do it anyway. 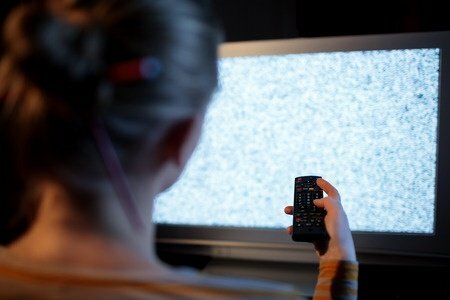 How in the world do these noisy thoughts get in there and how can we change the channel our minds are tuned to? How do we know when our voice is the voice of common sense or the crazy voice that is going to dig us deeper in the muck and mire of our out-of-control life? And if our voice is wrong, how do we silence it? As an adult who prides herself on being rational and intelligent, this always caused a real problem for me. I could also reason myself into eating whatever I wanted. I’m tired. I’ve worked hard today. I need something to keep me awake through the afternoon. I am going to pull an all-nighter. I need something to keep me awake. Or, I deserve a break. I’m going to relax and watch a movie. I knew this always meant I was also going to eat whatever was available as I relaxed. What Does Evil Look Like? Problem is he doesn’t appear that way. He comes to me more subtly. He partners with what he already sees me doing. He can’t read my mind, but he can read my actions. Take Eve, for example. He saw her eyeing the forbidden fruit. Being the “craftiest of all the creatures God had made,”2 he partnered with her doubt. It looked like he was reading her mind, but he was reading her hesitancy and desire as she eyed the fruit. It’s not hard to sway someone who’s already got forbidden food on their mind. After he told her that God has been lying to her and she won’t die when she eats what God specifically told her not to eat, she was convinced. Oh, but it was. The devil used her rational mind to get her to bring all of mankind down. Her reasoning said it looked good and that it would make her wise. In other words, it’s what I used to tell myself. “I need to eat my favorite food because I feel brain-dead right now. I need sugar. Oh, how about that cinnamon roll.” All the time, I knew God had specifically told me to stop eating sugar and bread. His voice, though, was a whisper compared to the raucous the evil one was making and my own desires yelling in conjunction. It was not unlike the loudest rock concert I’d ever been to. Combine the speakers pounding at ear-splitting levels with the screaming of the fans and my voice simply blended with theirs being led along by my own pleasure reveling in the moment. There was no thought of wrong thinking. How in the world could I ever stop that never-ending noise in my head? I have to willingly change the channel. My voice will partner with the voice and the thinking I listen to. My mind is a conglomerate of all I allow to enter it. If I entertain thoughts of doing anything against what I know is God’s best for me, I have just opened the door of my mind to allow that to influence me. It’s like any addiction, if I fill my mind with the supposed pleasure it brings me, I will always be pulled that way. My mind is supposed to be a gate that can filter out these things. The eyes, ears, mouth, nose, hands are also sensory gates. We can be tempted by anything we see, hear, taste, smell or touch. These are tangible gates that give input to our minds. It matters greatly what we allow to enter our lives. Even good Christians who go to church on Sunday mornings and watch all kinds of television shows, movies, listen to internet gossip and allow images to pass by their eyes can be filling their minds with subtle images that are slowly but surely changing the channel back to the world and consequently to the realm owned and operated by Satan LLC. I’m not saying we sit and read the Bible all day, but we begin to change the channel to asking Him to teach us about every thought that enters our mind. We invite Him into the conversation, if you can even call the party going on in our minds a conversation. We listen to good Christian music, instead of the noise of the world. We watch things that are uplifting. We hide the news feeds of friends and family members who constantly spout garbage. We protect what comes into our minds. And of course we do. We need time out at the feet of Jesus with His channel playing in the headphones of our lives. Friends, there are only a few more days until I have to close the doors for #KickWeight. This group is already forming a community, sharing their journey, learning from each other, bonding on this journey and hearing from God. I am honored God gave me the privilege of leading this group forward. for the next six months they are seeking to be changed from the inside out. I can’t wait to see their transformations on Sept. 30. Until April 7, you can still join us. 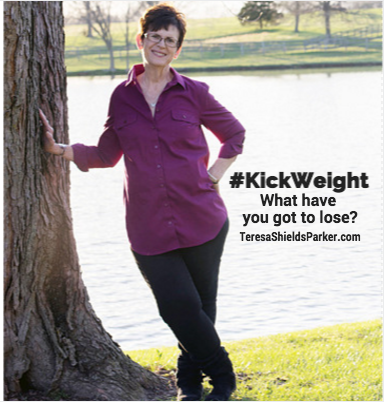 As a bonus, I’m giving you the $25 off coupon now so you can use it at checkout, #KICKWEIGHT25. Click HERE now to sign up. 6Deut. 11;19 MSG, this is my personal translation of this verse based on where we are today.